ecGraph Demo5. Stacked 3D Bar Graph, Text labels. 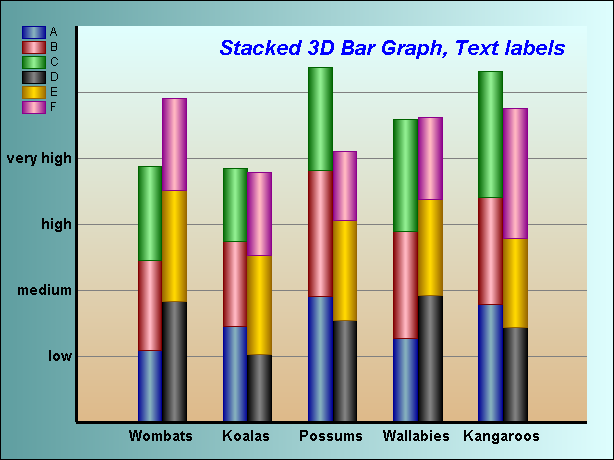 Stacked 3D Bar Graph, Text labels.